Tourism is an industry whose size and value creation can compete with any other industry in the world. People move around the world for different reasons and at different times, however, the unique cultures of travel locations remain peculiar and best understood by the locals. The tourism industry is a combination of various other fields in smaller bits that determine the outcome of travel experiences, especially for people traveling to unfamiliar destinations. People travel for different reasons such as work, vacation, exploration, e.t.c. Hence, depending on their specific reasons, individuals arriving to new destinations normally need some level of guidance either for their entire trip or at least the initial stages before they settle. Mainstream travel agencies have played significant roles in enabling tourists achieve convenience in their trips. However, the innovation introduced by online based platforms has taken the industry to new heights, placing it among the world’s largest industries with a market turnover of over $2.3 trillion in 2016 alone. 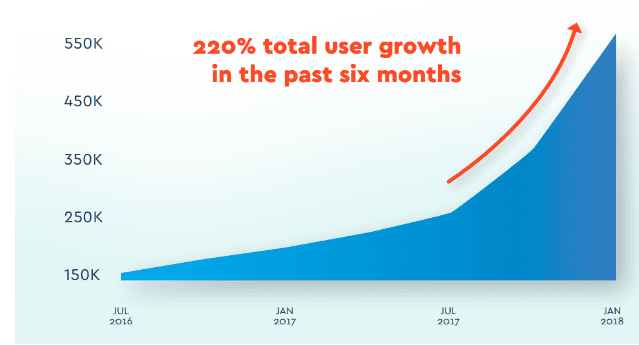 A growth which saw the industry’s user base experience an unprecedented growth of 220% in six months. Online booking platforms have registered staggering figures that make the mainstream outlets look like child’s play. Examples include, Priceline ($85B), Airbnb ($30B), Yelp ($3.5), TripAdvisor ($5B) among others. These platforms thrive on the globalized nature of the internet which affords the option of public reviews and opinions, thereby presenting the semblance of fairness in terms of ratings. However, the possibility of foul play puts the reliability of these platforms in question. The actions of centralized platforms that influence reviews to make their services attractive in a competitive market is a weakness that is currently hurting the industry. Cool Cousin is stepping up the industry by implementing blockchain technology as a tool to enhance the efficiency of service and ensure that travelers enjoy the best of experiences. The company is a VC-backed travel platform with over 500,000+ travelers already using its web and iOS app to discover new cities, and almost 1000 Cousins in 70 cities. Using blockchain technology, the company is introducing a cryptographic token named CUZ created to incentivize growth of its community of local experts called Cousins. This will allow travelers to get personalized concierge-like services from locals via a tokenized, smart contract-based, P2P platform. Contrary to what is currently obtained in the industry, where big agencies use the vast resources available to them to manipulate search engine optimization, Cool Cousin provides a platform for travelers connect with like-minded locals. These locals supply direct and more reliable information using a peer-to-peer system of communication. 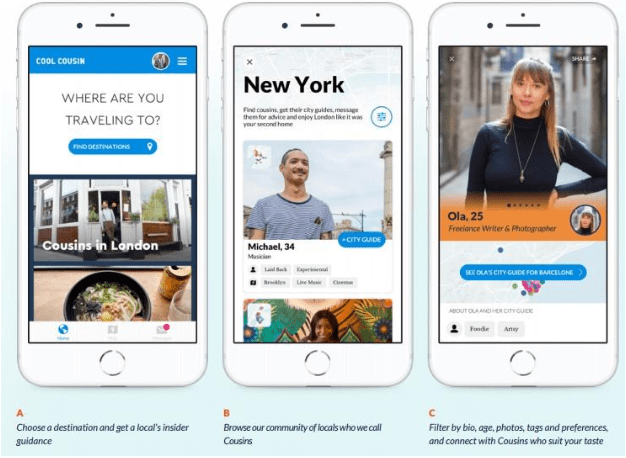 Cool Cousin allows travelers filter the community of locals by age, interest, gender etc, and once they connect to their new Cousin to easily get their curated city guide and message them for a more personalized guidance. The CUZ ecosystem is built on the Ethereum blockchain upon which it will leverage the transparency, security and immutability of information, guaranteeing trust and traceability of such information. In order to achieve blockchain implementation, building a global community for travelers and independent services providers to relate properly, Cool Cousin is embarking on a token sale that will raise 15,000 ETH. The funds raised during this sale with enable the development of a robust platform where users (Cousins) can interact and customize their own itineraries to suit their trips. The platform will also offer a live curation of events, so that travelers can be in proper tune with happenings as they plan their dates. Round the clock online support from locals are important features on the platform that will enhance traveling experiences, and a local business marketplace where the platform’s underlying currency, CUZ coins will used for transaction.